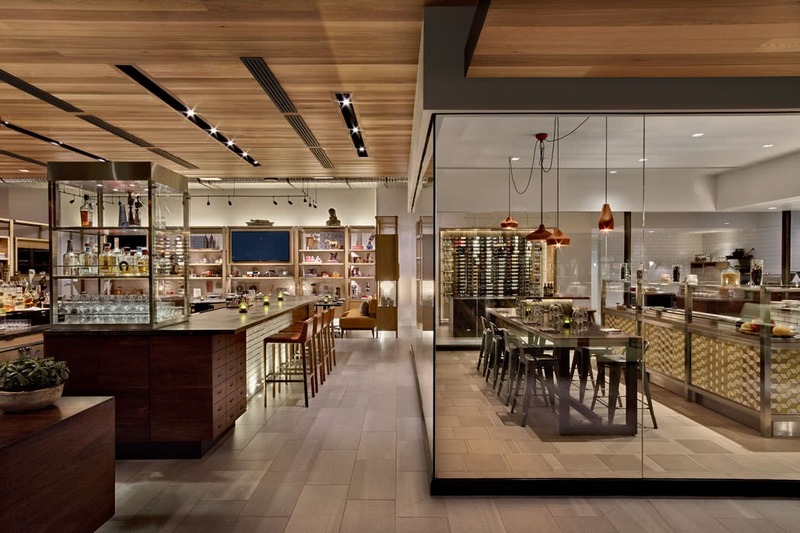 It’s always exciting to find a hotel as dazzling as it’s surroundings and that’s certainly the case with the multi-award-winning, luxurious Andaz Scottsdale Resort & Spa which overlooks the epic Camelback Mountain in Arizona, USA. 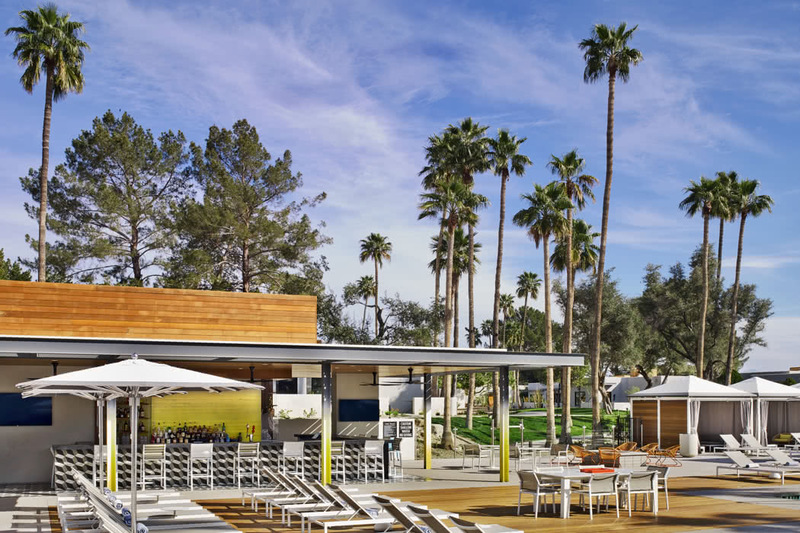 Andaz Scottsdale Resort & Spa lies nestled in the beautiful Paradise Valley in Scottdale in Arizona. With the backdrop of the iconic Camelback Mountain there’s much to do on your doorstep and hiking and golfing are particularly popular in the area. You are also just minutes from Old Town Scottsdale where you can enjoy world-class shopping and dining, and of course, that endless sunshine. Don’t miss architect Frank Lloyd Wright’s former home and studio, Taliesin West, which is nearby. From your first glimpse, you realise this hotel represents everything good about luxury travel. 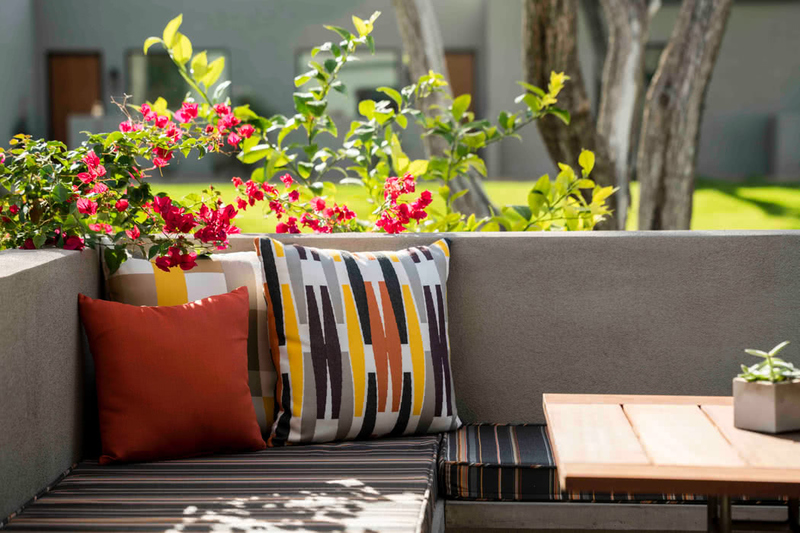 An urban oasis spread over 23-acres of beautiful grounds; a design and art-lover’s paradise, where mid-century modern design sits alongside carefully curated local art. Let the calming colours of the desert envelope you and soak up the timeless design of Alexander Girard. The resort is in the heart of Scottsdale and yet has the wonderful feeling of being secluded from the world. Despite your great location, there’s lots to keep you onsite; there are three stunning resort pools (reserve a cabana at the main pool and camp out for a day in luxury), an impressive state-of-the-art fitness centre with an outdoor area too, they also run a range of exclusive yoga and meditation classes here, and then there’s the spa. 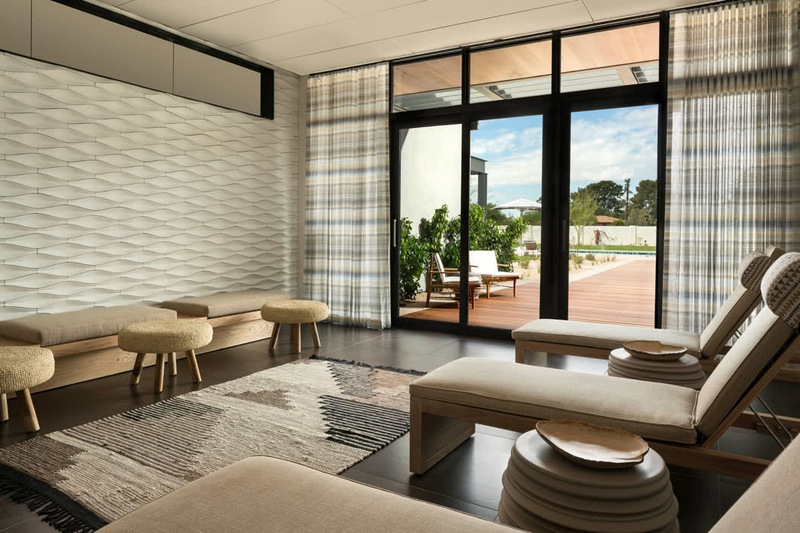 The Palo Verde Spa & Apothecary is a beautiful place with a tranquil meditation lounge, a private spa pool with a huge lawn and a range of wellness programs and treatments that will leave you feeling refreshed and revitalised. If you’re inspired by the art that surround you, they hold Artist in Residence workshops onsite. And when you do want to explore the area, why not request a ride in one of the resort’s Tesla’s and arrive in style. 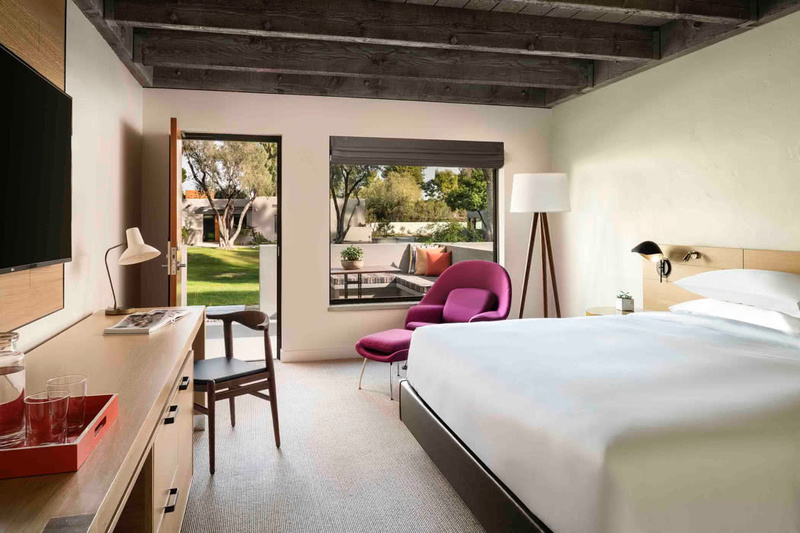 It’s not just us this resort has seduced, Andaz Scottsdale Resort & Spa has been recognized by Conde Nast Traveler as one of the world’s best new hotels in its 2017 Hot List! 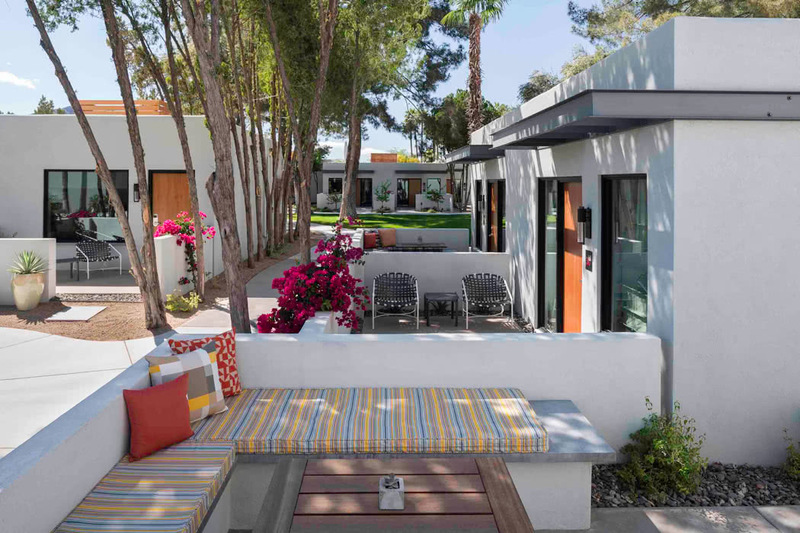 It has also received the 2017 Condé Nast Traveler Readers’ Choice Award – #3 Top Resort in Southwest and received 4 Stars for Weft & Warp Art Bar + Kitchen from AZCentral. Working in such stunning surroundings clearly works its magic on the staff too, they are so enthusiastic and helpful! There are 201 striking bungalows and suites in the resort. The fabulous design continues in the bungalows; they are chic, minimalist and funky with splashes of colour. All have either terraces or patios, gorgeous bathrooms and views of the mountains or the dessert. The bungalows are named after different architects, ‘Saarinen Cabana Bungalow’ is my favourite but it’s personal taste and all are simply divine. When you’re lying on that cabana, don’t worry about making too much effort to find nourishment; the Turquoise Pool Bar will serve you delicious light bites and does a mean range in handcrafted cocktails too. Come evening, an eclectic desert dining experience awaits at the hip Weft & Warp Art Bar + Kitchen. Breakfast is served until 3pm, there’s an open kitchen, your have pool and mountain views and you can feast on gourmet, locally-sourced, seasonal ingredients inspired by the Sonoran Desert.